Nearly half of India’s population is under 25. These young men and women are go-getters; they do not like to be told what to do or how to do it, but prefer to carve their own path. Moreover, you cannot buy them with ads. They want brands to be transparent, to be in sync with the society around, to understand them as individuals and not look at them as mere consumer stats. Flexible working hours and meaningful work is their idea of career success, not a stable 9-to-5 job with no thinking involved. Millennials, defined as those born from 1981 to 1997, constitute a core consumer segment for brands. In this ever-on digital age, it’s become increasingly necessary for brands to connect with this audience, and hence re-think their consumer connect strategies. A few Indian digital campaigns this year have been specially crafted for millennials. A premium biscuit brand announced its launch disguised as a new smartphone. A smartphone was launched disguised as a spy movie. 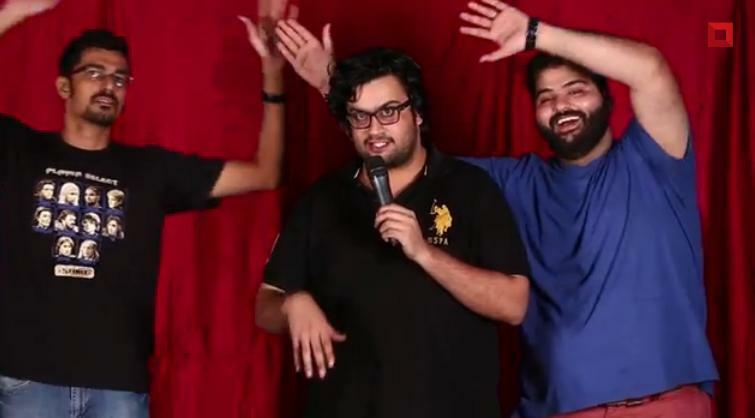 An insurance brand hosted a live stand up comedy act on Twitter themed on ‘bad investments’. A much loved actor who isn’t present on social networks joined six different social networks for six hours to entertain his fans, only for the launch of a new smartphone. Bourbon, India’s first premium chocolate biscuit from Britannia had lost its charm, in the sixty years of its existence. The brand wanted to bring back the lost charm and connect with today’s millennial generation. While it came with a fresh new packaging and a fun TVC, the brand chose digital to create some buzz prior to the launch. It announced the launch of a new smartphone called the Bon. The smartphone reportedly ran on Chocolatey 2.0 and had features like power pack, friend finder, auto charge, etc. MTV VJ Bani J and actress Kriti Kharbanda were specially roped in for the unboxing of Bon. User participation was boosted with the help of fun contests where the new Bon6 phone was up for grabs. When the buzz was at its peak during the unboxing, the duo revealed it as the new Bourbon biscuit. Each of the features were also explained: Chocolaty 2.0 because the new Bourbon was ‘thoda aur chocolaty’, Friend Finder because sharing a Bourbon helps you find new friends instantly, Power Pack because its available in Hangout pack as well as Pocket pack, and more. Read Why The New Britannia Bourbon Was Launched As A Smartphone. Girls on their periods are often told to stay indoors, take rest or steer clear from physical activities as they must be ‘feeling low’ or ’feeling down’. Sofy, the feminine hygiene product from Unicharm India, wanted to change their mindsets with its campaign #Imnotdown. It roped in influential milennials to encourage girls to say #Iamnotdown, through the use of real interviews, music and poetry slam. The #Iamnotdown poetry slam by Rene Sharanya Verma, a student who also raps to raise awareness of misogyny in India (famous for her rap slamming Honey Singh), has some hard-hitting lines on ‘feeling down’ during periods. The 2.15 minute poetry slam has the girl thrashing perceptions and euphemisms surrounding periods. The young and famous singers, Khyati and Kavya Trehan have sung a song to drive home the message. “I’m on my period, but #Iamnotdown.” Read Sofy Chooses Music And Poetry To Empower Women On Their Periods. For the launch of Lenovo’s A7000 smartphone, the brand announced a movie named #MissionA7000 produced by Lenovo Pictures. It told a story of a geek who was locked in Istanbul after his lady love ditches him for a bag full of cash. The lead character Louis Santiago was played by Hollywood star Johnny Deep, for whom the only hope was an electronic gadget to hack the PA system which is powered by a 64- bit Octa Core processor. A popular news satire website carried a story on how the censor board recommended a ban on mobile phones after watching the film, because they felt the lead character was misusing technology. An animation movie style trailer was released that convinced viewers to book a special screening in metro cities. The smartphone was finally revealed in Dolby theatres with a private screening for influencers and bloggers. The idea was to highlight the exciting features of the A7000 – Dolby Atoms, Octacore processor for super speed and 5.5 inch HD display, and also to make a memorable connect with the smartphone-savvy millennials. Read Inside Lenovo India’s Digital Strategy To Sell A7000. Millennials like to get involved with brands. Co-creating, generating new content, being a part of the brand story is their thing. 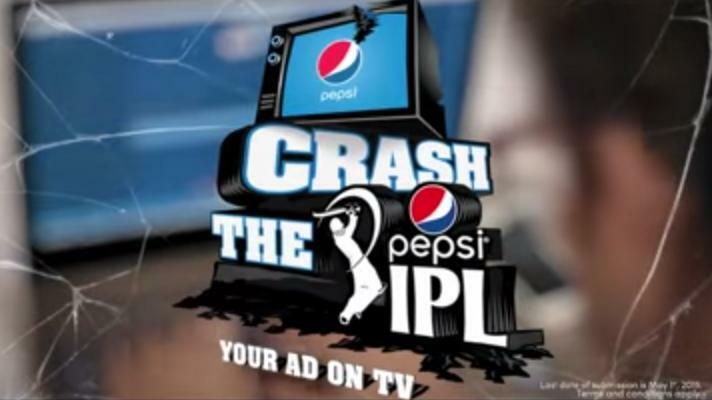 Riding on this insight, beverage giant Pepsi had launched a rather disruptive campaign on social media titled ‘Crash the Pepsi IPL’ this IPL8. The campaign invited fans to make a 30-second commercial showing their love for Pepsi, with the promise that the best ads would be aired during the IPL matches. The campaign website provided a Pepsi Tool kit replete with essential resources to make the ad: brand logos, official soundtrack, video clips, SFX sounds and ideas. The brand tapped into communities of content creators on the internet like bloggers and YouTubers to help spread the word. Apart from the 30 seconds of fame, the winners also received a cash prize of Rs.1 lakh. The campaign brought fame to the winning entries. Read Pepsi Invites Consumers To Create Ads For IPL8. Nescafe is neatly pulling itself as the driver of passion amongst the millennial generation. The instant coffee brand from Nestle stole our hearts last year with its viral ad film featuring a stuttering comedian who turns his weakness into his biggest strength, as part of its #ItAllStarts campaign. This year, it chose yet another offbeat professional – a cartoonist, to bond with Gen X. With youngsters more keen towards exploring their passion and fighting against all odds to make their dreams come true, the new campaign depicted the struggle of a young cartoonist after losing his job at a newspaper. The young guy puts up his cartoons on social media and finds instant positive response in likes, comments and shares, soon his cartoons make their way to shoes, tissues, umbrellas and more. Read You Cannot Simply Skip The New Nescafe Ad #ItAllStarts. Last year, technology giant, Hewlett Packard had embarked on a global makeover mission to connect with millennials through its campaign ‘Bend the rules’. Along with showcasing its Pavilion x360 that bends too, it also showcased stories of real life young achievers who were ‘bending the rules’ of success: Vijay Singh of Rajputana Customs; Varun Agarwal, founder of Alma Mater; Comedian Abhish Mathew and more. This year it partnered with YouTube Fanfest that sees some of the biggest YouTubers gather on stage for unique live shows. It hosted the #BendTheRules contest where aspiring YouTubers got the chance to be mentored and groomed to be YouTube ‘stars’. This time, it also introduced a slight desi twist to its communication via ‘I like your soch but love my approach”. The video stories included young achievers who had ‘bent the rules’ with their ‘alag soch’, like Nitin Saluja and Raghav Verma of Chaayos, Suresh Menon and Hozay and others. 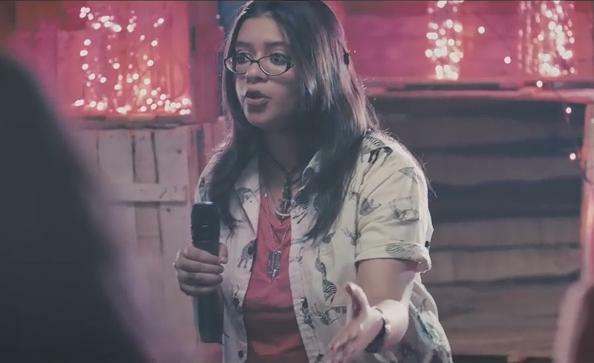 Read HP India’s #BendTheRules TVC Salutes Gen Y For Its ‘New Approach’ To Life. When Mufti wanted to launch its Jogger Jeans, a new hybrid denim that allowed freedom and ease of movement for the wearer, it demonstrated exactly that by roping in Parkour experts who ran, jumped, climbed, rolled over and more, dressed in the Jogger jeans, for the brand film. To get millennials talking, the video included a tongue-in-cheek script too – it was introduced as a survival guide for guys to #KeepHerHappy. The minute-long video starring Parkour professionals describes the survival guide for guys while showcasing the comfort of the jeans. “She says jump, don’t ask why instead ask how high,” shares the guide while the expert demonstrates it. While most life insurance brands took to storytelling to bring their messages across this tax saving season, there was one insurance brand who took to stand up comedy and that too, to make fun of ‘bad investments’. Millennials do not like advertisements or brands preaching to them, but humour is always a welcome thing to be a part of their conversations. HDFC Life, one of India’s leading private life insurance companies, chose to reach out to millennials via stand up comedy on Twitter. This year it launched season 2 following a successful season 1 in 2014. It teamed up with three stand-up comedians who made jokes on ‘Bad investments’ and while at it generated a massive social media buzz for the comedy act, using a variety of creative, engaging contests on social media. The insurance brand managed to carve a niche in the BFSI sector, while making a fun connect with millennials looking to make investments for the financial year-end. Read How An Insurance Brand Is Redefining “Bad Investments” Through Live Stand-Up Comedy On Twitter. For the launch of Lenovo A6000, the most affordable 4G phone in India, Lenovo India embarked on a unique social media launch that leveraged the popularity of its brand ambassador, Ranbir Kapoor. It convinced Ranbir, who does not have a presence on social networks, to get on to six popular social networks for six hours, and entertain his fans, while all his interactions on the social networks involved the new smartphone. So Ranbir created a huge buzz on the specially created Facebook page and also got himself trending on Twitter. Ranbir asked his followers to make him do crazy stuff and shared those on social networks. For Instagram, he shared selfies and shoefies with the A6000, while he made a funny emoji for Snapchat, crazy Vine videos. All the action of the day was documented on Tumblr. Instead of Ranbir asking his fans to buy the A6000, he ensured the phone received ample buzz on social networks frequented by millennials. Read When Ranbir Kapoor Was On Six Different Social Networks For Six Hours. This Mary Meeker report throws light on the online behaviour of millennials, in case you’re looking for more ideas for your millennial-focused campaigns in 2016. It has been quite an impressive journey to see Indian brands talking to millennials in a language they get, and care about. We’re certainly going to see more of these in 2016.